In my last post I considered several drying and soothing plants, but another group of plants used were those that provided some warming action. Of all of the most frequently occurring folkloric plants, perhaps mint (Mentha spp.) falls most readily into this group. Mint appeared as often in recipes in printed books as in manuscripts. However, the indications for mint in recipes might have differed between the learned and folkloric traditions. In the learned tradition, John Quincy in Pharmacopoeia Officinalis (1730) saw mint, in all its various varieties, as a ‘great Strengthener of the Stomach’ and noted the herb’s ‘fragrant Scent’. John Pechey in his Compleat Herbal (1694) noted additional uses, which may well have been of relevance in the domestic context, of relief for ‘Hardness of the Breasts… dissolves Curdl’d Milk’ and also the distilled water in use to ‘cure the Gripes in Children’. In folklore, according to Allen and Hatfield, the digestive use of mint was secondary to its principal use in colds and coughs. In the recipes mint was widely used in cordial and distilled waters, accounting for over a third of the occurrences, as well as women’s complaints such as lack of conception and childbirth and was also used for disorders relating to the head such as melancholy and palsy. So mint did not appear to draw on the most common folklore uses to account for its popularity in recipes. Some plants were much more likely to appear in a household manuscript recipe than a printed recipe, such as coltsfoot (Tussilago farfara) and hart’s tongue (Asplenium scolopendrium) (Figure 1). 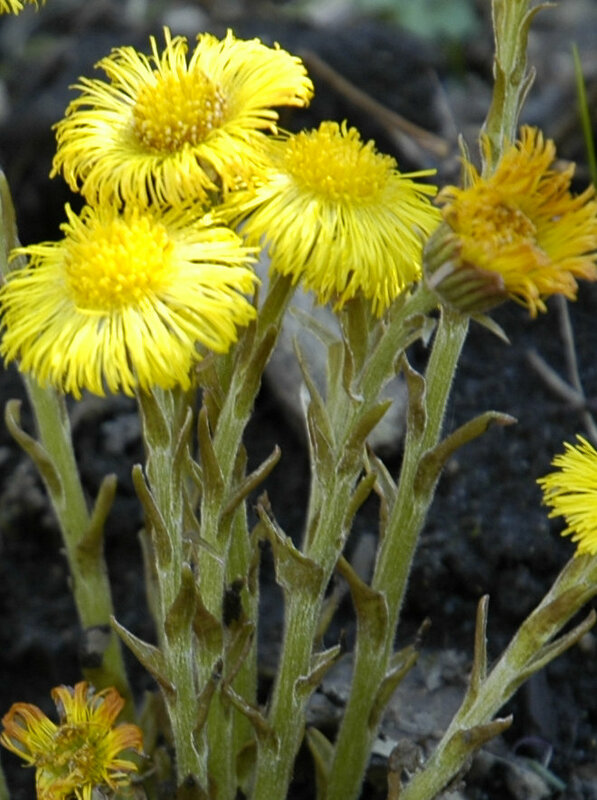 Coltsfoot was known for diverse uses including soothing effects, both aiding healing of wounds and reducing inflammation of various kinds. Coltsfoot made a decoction ‘smooth and healing’, and Allen and Hatfield confirm widespread folklore use of coltsfoot for coughs and colds. This was shown in the indications of the recipes in both manuscript and print from throughout the seventeenth century, where coltsfoot was consistently mentioned in recipes for coughs, colds and related conditions. This plant did have continuity in terms of indications in both print and manuscript recipes. There was less agreement on the uses of hart’s tongue which appeared over twice as often in household manuscript recipes compared to printed recipes. 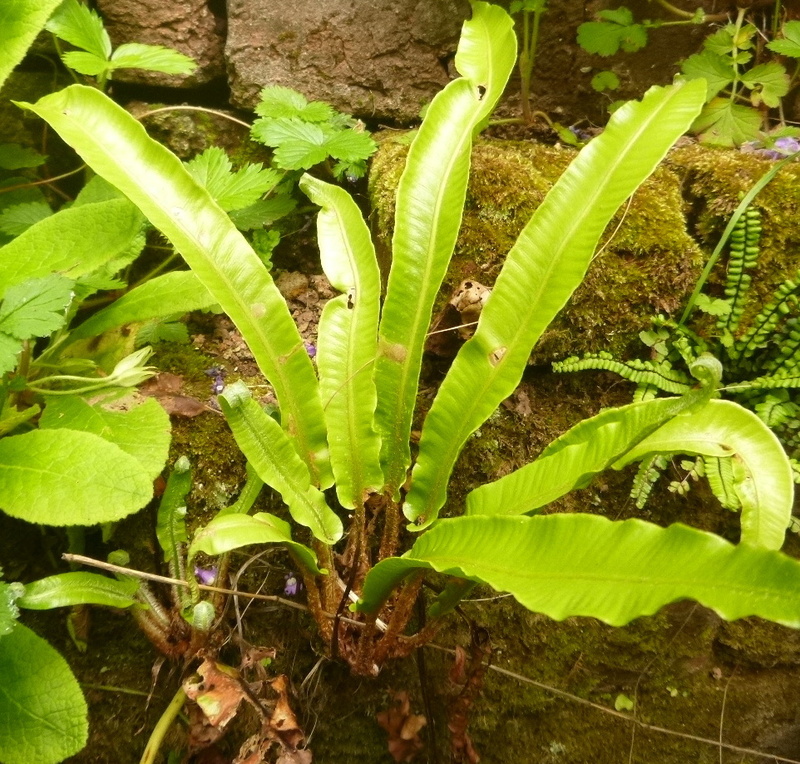 Hart’s tongue was dismissed by Quincy in his note on a related species, Spleenwort, where he observed ‘neither much in use’. Yet Allen and Hatfield show the widespread use in the West of the British Isles of this plant, hart’s tongue, for a diversity of conditions including coughs and colds, and skin eruptions. Another possible reason for the popularity of hart’s tongue came from Pechey who noted the use of the plant for ‘Mother-fits and Convulsions’ taken in small beer, posset drink or as a conserve. Thus hart’s tongue might have been sought more often in household recipes for commonly experienced womens’ and children’s conditions. In actuality, the extra numbers of household recipes with hart’s tongue were mostly for rickets. Tracking both learned and folklore knowledge of medicinal plants in recipes is fraught with problems, and it is especially interesting to see differences between print and manuscript recipe ingredients, since there was so much interchange between books and handwritten collections. Allen and Hatfield discuss the role of classically-sourced herbals in displacing local plant knowledge. Perhaps we need to consider how recipes figured in this displacement. In my next post I aim to consider some native plants that did not feature in the recipes! John Quincy. Pharmacopoeia Officinalis and Extemporanea, 8th ed. (London: J. Osborn and T. Longman,1730), p. 101; David E. Allen and Gabrielle Hatfield, Medicinal Plants in Folk Tradition: An Ethnobotany of Britain & Ireland (Portland, Oregon: Timber Press, 2004), pp. 237-8; John Pechey, The Compleat Herbal of Physical Plants Containing All Such English and Foreign Herbs, Shrubs and Trees, as Are Used in Physick and Surgery (London, 1694) p. 130. Graeme Tobyn, Alison Denham and Margaret Whitelegg. The Western Herbal Tradition: 2000 Years of Medicinal Plant Knowledge. (Edinburgh: Churchill Livingstone/ Elsevier, 2010) 317-22. Allen and Hatfield, pp. 60-1; Quincy, p. 98. Allen and Hatfield, p. 15.